Babies and young children always have a bedtime bath, why? Because water is so soothing. It’s strange how relaxing the sounds of waves washing against the shore or rain splashing against the window sounds, isn’t it? 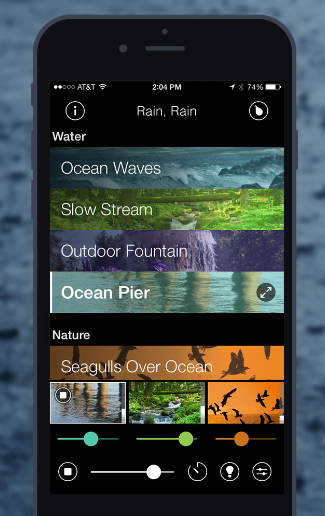 If the sound of water can help you fall asleep this app could be just the thing for you. There are not just water sounds either – hundreds of different combinations of sounds can be programmed into the app which will turn your phone into the ultimate sleep inducing device. The app is free and is available either for iPhones or Android devices, just search for the name in the appropriate app store. According to Sleep Cycle’s website their app “analyses your sleep and wakes you up at the most perfect time, feeling rested.” This app really is a very intelligent alarm, which tracks your sleeping patterns and then wakes you up at an optimal time, based on how you have slept the night before. The app detects your deep sleep patterns from the night before and then wakes you up, during a specified half an hour window, whilst you enter your light sleep phase. 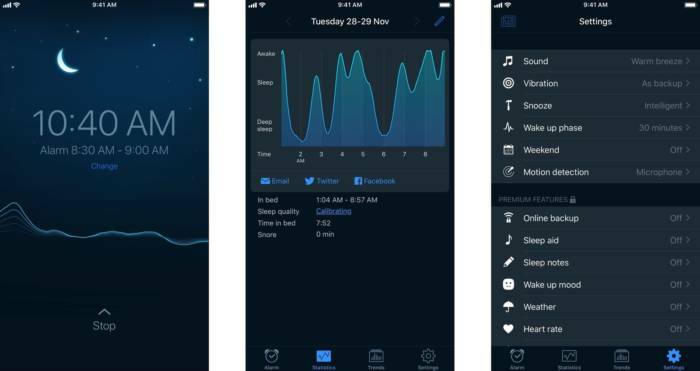 This app can also be integrated with the Apple Health app, allowing you to monitor and analyse both your sleep patterns and other data, including your heart rate overnight. Sometimes, simple is best. The clock app on the iPhone hasn’t really changed in ten years but there have been some incremental developments which have made the app a little more useful. The clock now has a ‘Bedtime’ feature which reminds you when you should go to bed and the optimum time when you should wake up. This app doesn’t come with any bells and whistles but sometimes, you don’t need any. This app is obviously only available on an iPhone, out of the box. Previous post: Why should you buy a TV Bed?